In his massive and erudite study, trumpeter and Bix Beiderbecke biographer Sudhalter makes the case that white musicians have been unfairly overlooked in the canonical histories of jazz. Sure to stir up controversy among critics, scholars and fans of "American classical music," Sudhalter's history argues that the rise of multiculturalism, for all its positive effects on society at large, has helped foster a popular misconception of jazz as an art form dominated by African-Americans. While Sudhalter's polemical position provides structure to what otherwise might have become an unwieldy and anecdotal discussion, it creates conceptual difficulties. 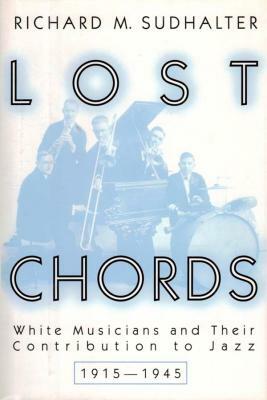 Sudhalter fails to establish how race worked in early 20th-century America, taking for granted that, like today, Sicilian, Jewish and Irish musicians would have been regarded as "white." However, a number of recent studies have suggested that the full privileges of "whiteness" didn't extend to members of these ethnic groups at the turn of the century. The book?which includes profiles of a number of celebrated European-American jazzmen?Beiderbecke, Bunny Berigan, Benny Goodman and Artie Shaw, to name a few?is at its most intriguing when examining such lesser known figures as the sweetly tragic New Orleans cornetist Emmett Hardy, the multitalented bandleader Adrian Rollins and the irascible braggart Nick LaRocca, leader of the seminal Original Dixieland Jazz Band. Whether or not you buy Sudhalter's basic premise, there's much to be learned from his scholarly, sometimes combative, narrative. Photos not seen by PW. (Jan.) FYI: A two-CD companion album will be released by Challenge Records to coincide with publication. Sudhalter is planning a second volume. Copyright 1998 Reed Business Information, Inc. Ships for the price of 6 records.